This guide is for first time visitors in Sukhumvit, Bangkok’s largest and most important street. In its entirety, Sukhumvit Road stretches all the way to the Cambodian border, but we are only dealing with the 10 km stretch that cuts east through downtown Bangkok. This bustling, modern neighbourhood lacks the traditional tourist landmarks found elsewhere, but people are often charmed by its authenticity and ‘big city’ appeal. 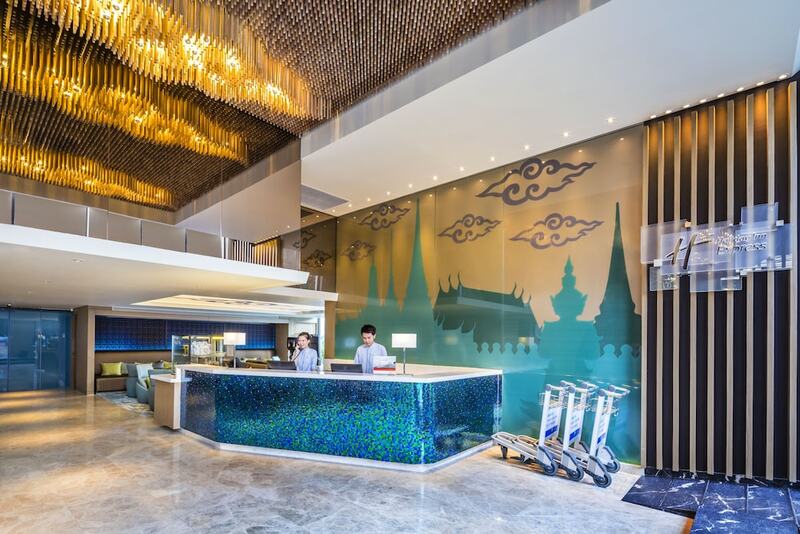 Even if your hotel is not located nearby, first time visitors to Bangkok will almost certainly hear the name ‘Suk-hum-vit’ again and again due to its importance in relation to shopping, dining and leisure activities. The many shopping malls, restaurants, fashionable bars, luxury hotels and famous clubs give the area an international, urban vibe, and it is one of the most popular areas for expats to base themselves. Of course, many of the finest things to see and do around Sukhumvit are located down small streets or ‘sois’. To help make you initial exploration as rewarding as possible, here are our picks of what to do on Day One in Sukhumvit. Sukhumvit has an amazing collection of restaurants, shopping malls and is really the most 21st century part of Bangkok. You will still see classic images of the city while out and about in Sukhumvit, but this is not the area for grand palaces or heritage buildings. You come here to shop and party. There are more clubs, rooftop bars, trendy restaurants and late-night spots here than anywhere else in the city. It can take some time to find many of them because they are rarely on the main road. Often you will have to go deep into the sois to find the where the masses hang out in Sukhumvit. Nightlife in Sukhumvit is the best you’ll find in Bangkok. Sukhumvit has many regional cuisines on offer. Anything from Italian pizza to Indian curry, and a whole enclave of Japanese options. Of course, Thai food is never far away, and you can find inexpensive local dishes at many of the food courts inside shopping malls. Sukhumvit has the best world cuisine in Bangkok. 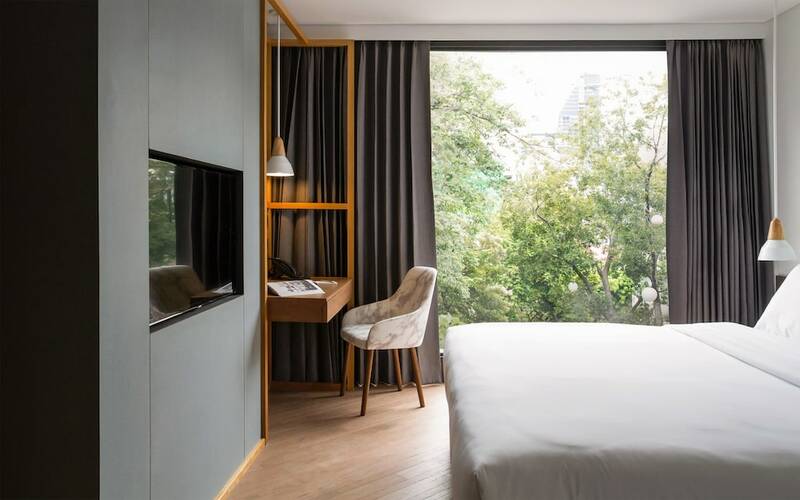 There are so many places to stay in Sukhumvit we could spend all day reviewing them all. To save you time, here’s a selection of three hotels we like: a luxury hotel, a mid-range and a budget one, too.